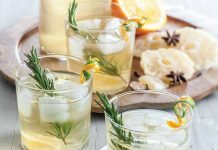 With sweet elderflower, bright bursts of citrus, and the distinctive herbal notes of gin, who could resist this gin cocktail from The Village Cafe in Lafayette? Sweet elderflower, bright bursts of citrus, and the distinctive herbal notes of gin make this cocktail irresistible. 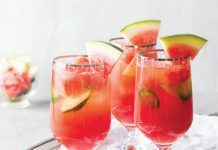 In an ice-filled cocktail shaker, combine gin, elderflower liqueur, juices, and bitters. 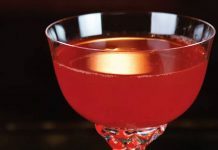 Shake vigorously, and strain into a chilled martini glass. Pour Champagne on top. 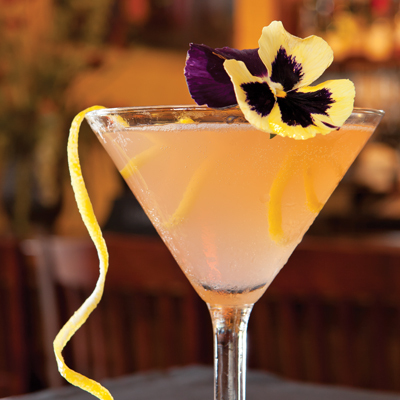 Garnish with lemon twist and edible flower, if desired.